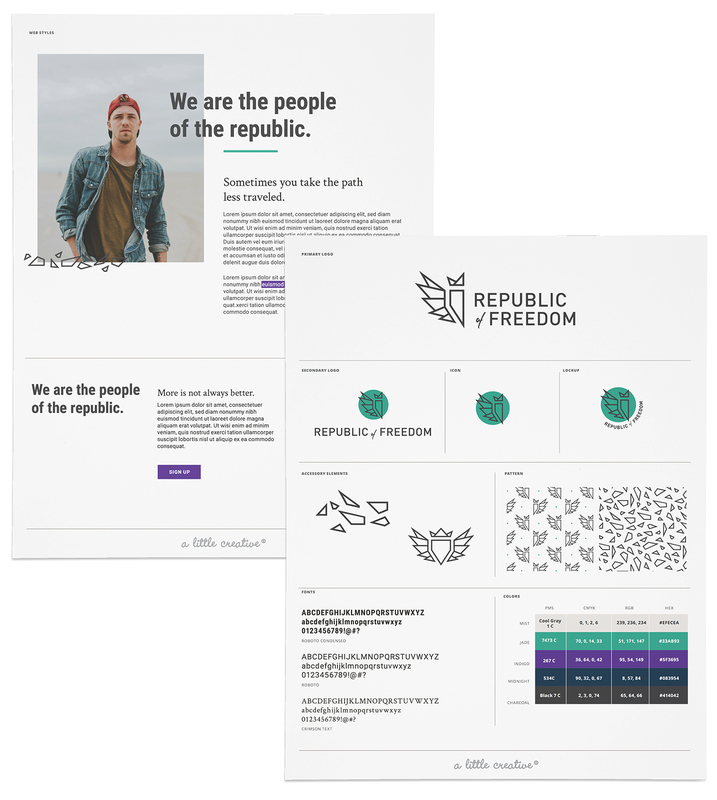 The brainchild of client turned friend, Heather Thorkelson, the Republic of Freedom is an online collective of rag-tag humans with something to say. 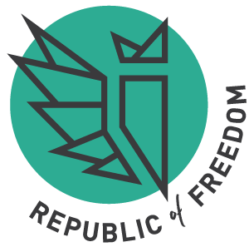 Writing on a range of topics that affect the human condition, the Republic of Freedom advocates for both livelihoods and mindsets that help people not only thrive, but also be more free in an unfree world. 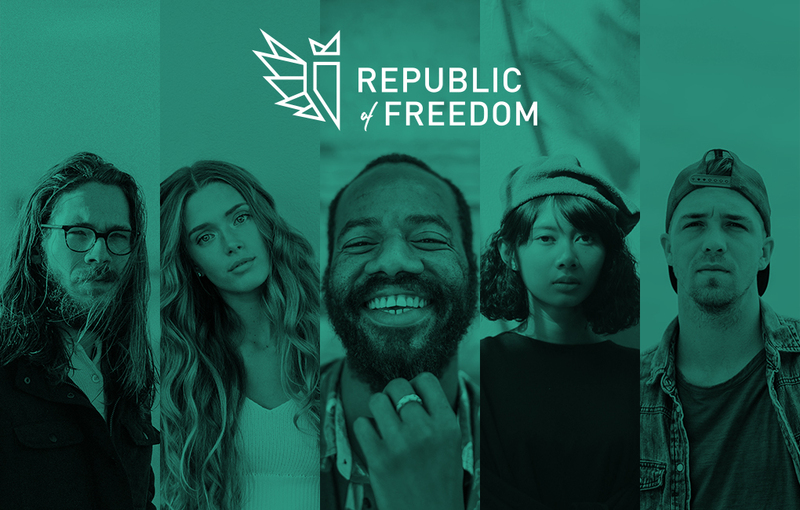 Having been a fan of Heather’s and the Republic for quite some time, it was an honor to create version 2.0 of the identity and help mold the brand into a more grown-up, mature form. Taking inspiration from abstract symbols of strength and freedom, we landed on something of a crest that emulates the strength and resiliency of the members of RoF and represents pride of individuality.